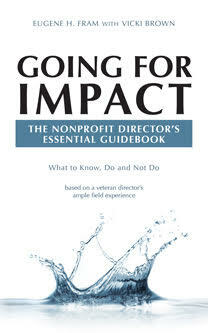 Nonprofit strategic plans are most vulnerable not in their development, but in their implementation. And implementation often hinges on some measurable indication of progress. Without those metrics, the plan is a group of intentions on the verge of greatness. But measurement can be a daunting field and most nonprofits just cannot afford the costs of stringent measurement when resources are needed to deliver services. Yet governmental agencies, accrediting bodies, foundations and individual donors want some (even imperfect) attempts at assessments of outcomes. The answer is to learn how to use imperfect but relevant metric well. It is described in my 2010 article, “Using Imperfect Metrics Well,” and demonstrated in the article via case studies. 1. Mission outcome metrics — When do we know when the mission is being achieved? When do we know when the vision is being achieved? 2. Organizational performance metrics — When do we know if the organization is well run? All stakeholders need to be involved in setting these metrics…especially governance and organizational leaders. The process of setting metrics is a process…not an event as so many seem to think. Great article…thought provoking and helpful!